This is my "Path of the Warrior" Blog, created as part of my application process for the Warriors Without Weapons 2011 programme. Turismo Comunitario no Tiro Naval! Já tem programa para domingo? Quer apoiar uma proposta super legal de uma comunidade MUITO empreendedora? Então, seu lugar é no roteiro de Turismo Comunitário do Tiro Naval! A proposta nasceu durante o programa Guerreiros Sem Armas 2011 e essa será a segunda edição. É nesse domingo, dia 20 de março, a partir das 9 horas da manhã. A Família Tiro Naval convida você a conhecer o outro lado do Monte Serrat! Faça parte dessa iniciativa inédita em Santos! O roteiro acontecerá dia 20 de março de 2011, às 09h, com ponto de encontro na Fonte do Itororó, situado na Rua Bittencourt, próximo a subida do Funicular do Monte Serrat. – Remuneração para a comunidade. – Gastos com qualquer outro tipo de compras ao longo do roteiro ou qualquer outro tipo de atividade não descrita no programa acima. – O roteiro pode sofrer adiamento em caso de fortes chuvas. – Para o roteiro acontecer o número mínimo de participantes é de 06 pessoas. – As saídas acontecem o ano todo, com prazo de 15 dias de antecedência para inscrição. – Para confirmar a inscrição, é necessário efetuar o pagamento via depósito bancário até 10 dias* antes do início do roteiro. Envie um e-mail para projetobagagem@projetobagagem.org com cópia para turismotironaval_monteserrat@hotmail.com, que enviaremos os dados para depósito. – Em caso de cancelamento, o participante deverá arcar com o valor integral do roteiro, a não ser que o mesmo encontre outra pessoa para ocupar seu lugar. * Excepcionalmente para esse roteiro do dia 20 de março, o depósito deverá ser feito até dia 17/03. – Bom humor e disposição! 12 more days until we get to action! And still A LOT to be done! On January 4th, we will be kicking off the 5th edition of the School of Warriors Without Weapons here in Santos, Brazil. And I’m incredibly excited about it!!!! This year, 66 warriors from 25 countries will be joining efforts with 3 different communities in my home-town Santos (Tiro Naval, Pantanal and Mangue Seco-Butantã) with the incredible challenge of partnering with the communities to transform the place, while transforming themselves! And through 33 days, the warriors and the community will be collaborating to create, develop and build common dreams only with the local resources, talents and skills available in each community. Since it’s first edition in 1999, the School of Warriors Without Weapons already trained over 300 young entrepreneurs from all corners of the world that are now ready to act very quickly and effectively to respond global emergencies and disasters as well as they are already actively improving their own communities applying the learning from the School of Warriors. This innovative programme, created by Elos Institute, brings together every two years a community of global and local young leaders (18-35 years old) for a 100% real hands-on experience. The warriors are challenged to harvest, create and live the transformation on the communities through the application of social technologies such as appreciative inquire, cooperative games, non-violent communication, circular dances, world cafes and the Oasis Game. This life changing experience was design to empower warriors which can promote positive and sustainable transformations in communities, while creating the capacity of leaders which will be acting as social entrepreneurs, community or business leaders and/or governmental officials throughout the world. 551 young people applied for the School of Warriors Without Weapons this year. After a month-long online game with weekly real-life tasks each warrior had to play, 170 blogs were created with each individual “Path of Warrior” used in the selection process. From those 66 participants were selected and guaranteed their place at the 2011 programme. The School of Warriors Without Weapons 2011 is happening thank to partnerships with important agencies and organisations, such as the ABC – the Brazilian Cooperation Agency from the Brazilian Ministry of Foreign Affairs, The Town Hall of Santos, European Voluntary Service among others. But in order to ensure the presence of every one of those 66 warriors, we still need your help!!! Each warrior was given the challenge of raising funds to cover the costs of their participation in the programme! Many of them did! But some are still struggling with it! The programme really values the diversity of its warriors which come from the most various backgrounds. Some of them come from less privileged backgrounds, and our biggest challenge now is to raise the funding to ensure also their participation in the programme! If you can help somehow, or know somebody, or some organisation that might be able to contribute something, it’s time to ACT! I’m attaching a file which explains more about the programme (super worth reading) which you can use to help us in fundraising! You can donate any amount using Paypal or credit card through the link in the side bar! Or contact me by e-mail at jfscarpelini [at] gmail.com for other options to transfer the money!!! Also, if you haven’t read my previous posts, feel free to contact me to discuss how we can somehow compensate your support: maybe organising trainings or Oasis Games in your organisation and/or community, supporting you in implementing a project, and so on.. opportunities are many! Lets discuss them further! And between January 4th and February 5th you can stay up-to-date with the day-by-day coverage of the work through the facebook page: http://www.facebook.com/#!/pages/Guerreiros-Sem-Armas/133786279971868 , through the Official Twitter: http://twitter.com/instituto_elos and the official blog: www.warriorswithoutweapons.net as well as through my personal twitter (@jfscarpelini) and facebook accounts! I really really appreciate your help already in advance!!! Hey guys, thanks so much for all the support coming from all parts of the globe! I really appreciate the contributions! And be sure, all the money raised will be invested to ensure more and more warriors can take part in the School of Warriors Without Weapons this year! We still have about 7 different warriors who still need support… so, if you haven’t done yet, PLEASE contribute!!!!! You can do so through PayPal by clicking in the link in the side… or get in touch with me, and I can give you extra options for sending your contributions! Meanwhile, for those who are not very familiar with the School of Warriors Without Weapons programme, please, check the video below, from the 2007 programme… I guess it says more than any words! Once again, THANK you A LOT for you contributions! And please, promote this among your friends and family! We still need more support in order to ensure all warriors are able to make it this year!!!! I made it! After a month-long selection process I made it into the selected group of warriors which will take part on the School of Warriors Without Weapons 2011. Navigating in this part of the blog you can learn a bit about my journey and read my warrior path, to discover how and why I got selected. The most difficult challenge has passed! But now is time to get on with the next steps. And for that I need your help! Learn how you can support me and invest in a warrior by clicking here! For me the selection game was a very interesting and intense process. The idea of playing a game online was a bit scary for me, especially when I considered all the other things going on in my life at the moment, new job, new country… lots of travelling, and very little time! Gosh, the time! Was constantly a challenge, having to juggle with so many other things… always trying to find a little time to sit and write down a bit about the things I was experiencing. I need to admit that I really felt like giving up many moments during the process. It felt like I could do much more and committed more time for the process and the tasks…. But I’m glad I kept with my warrior spirit and didn’t give up! I think the tasks of the game worked as a good provocation for me.. I caught myself many times thinking about the questions and the challenges when I was doing something else from work, or uni. The process of writing the learning and achievements down, as well as posting it all online, was in itself another magical experience. I realized how much things I do on a daily basis without actually thinking deeper trying to understand the reasoning behind, and the things I’m learning with it. I decided to start a diary for myself, where I can actually document my personal journey, and have a more clear record of my learning and how much I’m growing as a person, just like I did during the warrior path. Regardless of the result, I really enjoyed the challenge this game represented for me. And I think I’m coming out more self-aware about myself and the experiences I’m going through in my path. TASK 4 & 5 – I am NOT alone! & 5,4,3,2,1 GO!!! I don’t need to say that it’s quite difficult to start change from scratch, especially if you are not very familiar with the place, the language, and the people. I spent the first night in Mykonos awake, and did a lot of research to find out if waste was a problem for them, or only for me. Researching I learned some interesting stuff about the place. Today it is estimated that Mykonos is the home of 11,000 people, of these, 4,000 are foreign residents! During the summer months and the height of the tourist season the island supports over 50,000 holidayers, apart from locals and part-time workers. This huge holiday business of courses responds for over 80% of the island’s work force. It was clear for me, that if I wanted to bring change about, I would have to target tourism! And the easiest way to reach tourism would be through one of the 135 hotels that are operating in the tiny island. Trying to talk with some locals, I end up in a café where I met Dora, a French woman, living in Mykonos for her last 15 summers. Dora told me that when she first came to Greece, she knew that was the place she wanted to live for the rest of her life, so, she moved to Athens, and every year moves to Mykonos for the 5 months of the “summer season”, now she owns a café in the centre that is becoming more and more popular among the tourists and the locals. I asked Dora many questions about her waste. Do you recycle? Where do you take your waste? Where all the waste of the city is stored? Where the water from the city comes from? I bombarded her with so many questions, that when I released, she had left the balcony and was sitting in my table, having a coffee and sharing her views on Mykonos waste. 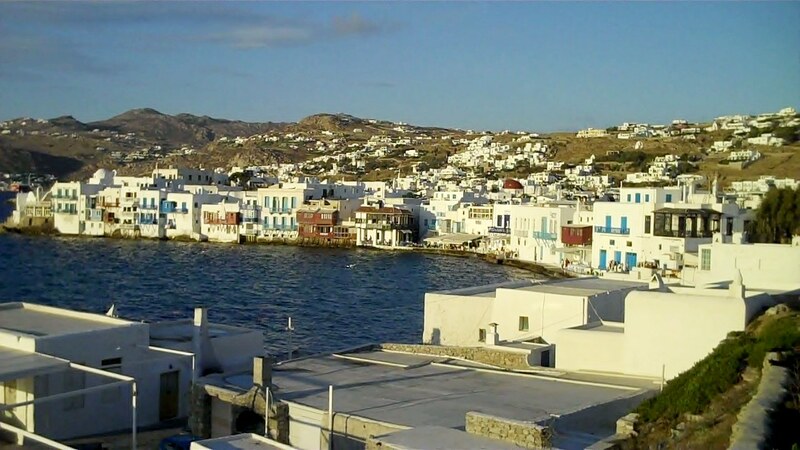 Mykonos has very little natural fresh water and it relies heavily on the desalination of sea water in order to meet the needs of its population. Especially during the summer, a lot of the water used comes from Athens by ferry… in bottles! Imagine a 50.000 population of tourists drinking bottled water daily. Now imagine the amount of waste that it is produced during summer time!!!! I remember Adonis told me he was selling plastic to craft shops… and walking around the center of Mykonos, all you can see areshops selling souvenirs. I talked with some of them, and realize that Adonis was right, there was a huge opportunity in bringing the shop owners together with the hotels, and so, that became my main action plan. I went back to Dora to tell her more about my plan and ask for help! She completely bought the idea. In few minutes we made a small very simple “flyer” using her computer, and there I went… knocking on every hotel door I could, inviting them for a Coffee with Sustainability meeting, at Dora’s café the next day. On the 32 hotels I managed to go, I tried to explain what we were trying to do, and to make it clear that we would talk about a way to reduce the waste (and the taxes coming along with it) as well as generating some kind of income to everyone involved. The same happened with the craft shops, which Dora was in charge of inviting! The next day, we had our “Coffee with Sustainability” meeting, only 7 hotel owners actually showed up, and about 20 craft artists that own small souvenir shops around the island. The meeting was very informal, fueled with nice Cappuccinos offered by Dora! We spent about 2hrs together. During this time I was able to tell a bit about Adonis’ story and to explain how Mykonos could use the waste as an opportunity. Hotels need bottled water for their tourists. 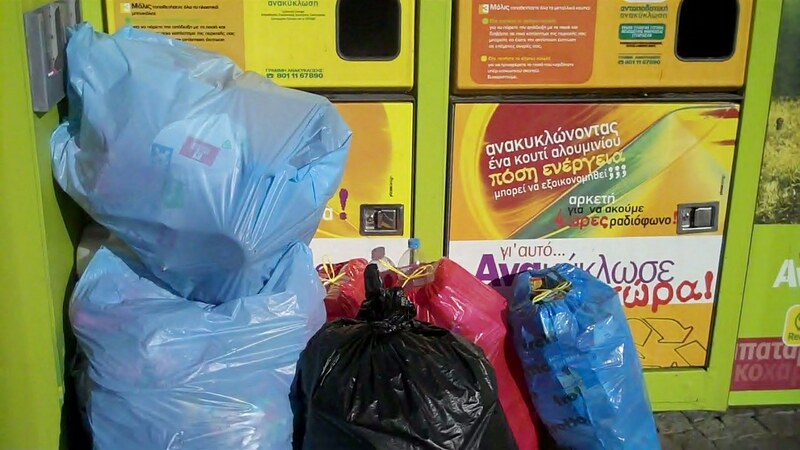 They produce a lot of plastic waste, and they need to get ready of it, at a very high cost since it has to travel all the way back to Athens to be recycled. Craft Artists need raw materials for their craft, quite a few of them buy plastic from Athens at a very high price when you add the price of the transport from Athens. 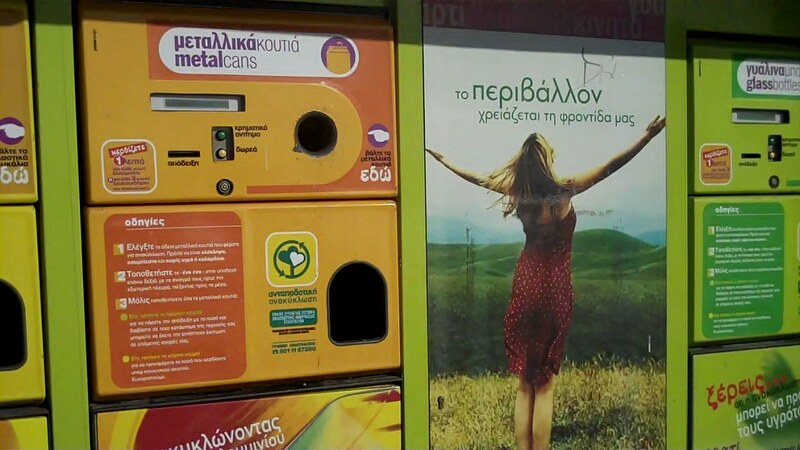 The Recycling initiatives in Mykonos were not working properly, mostly because people understand recycling as something expensive (requires big machinery, recycling industries, etc), and not very profitable. 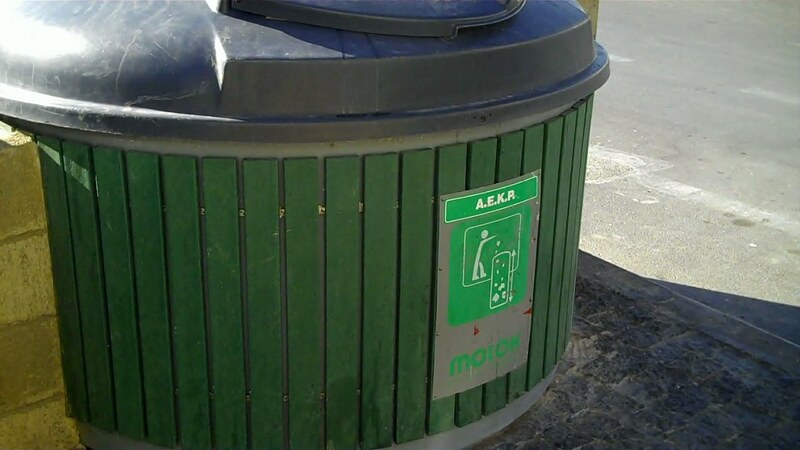 Hotels workers don’t care much about separating the waste properly, which results in not enough recyclable waste in order to create a proper recycling facility in the island. Everybody kept only complaining about the waste situation to the authorities, but nobody took much responsibility in making something about it happen. If Hotels could separate properly at least their plastic bottles (what could be easily done by creating 1 extra bag system in the maid’s trolleys). They could start selling it a very low price to craft artists from the island. This would reduce their waste taxes, and generate some income to the hotel. 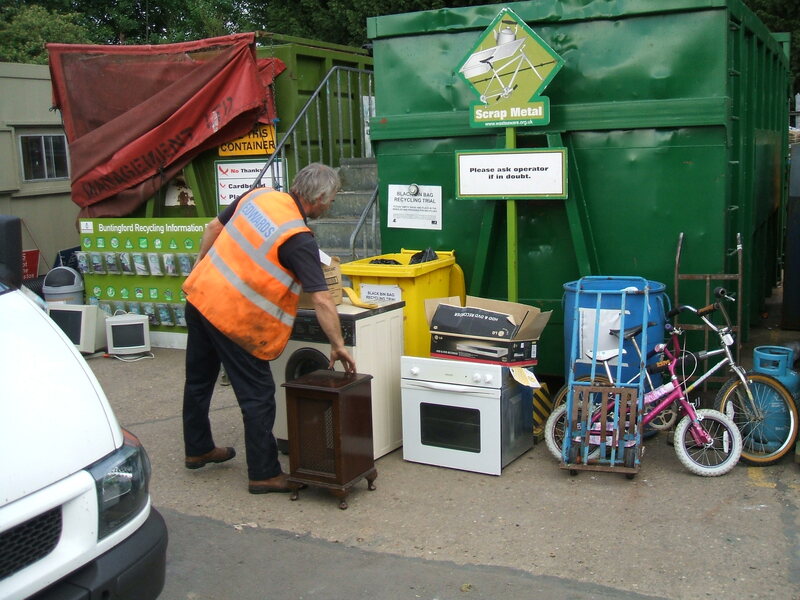 (Part of which could go to employers who are taking recycling serious – to motivate even more!). I had also to meet with some authorities from the City Council to discuss about my proposal, and to see what kind of support the town hall would be able to provide. On and on, it took me about a week, to meet with officials, hotel owners; craft shop owners and artists, as well as to cafes, restaurant and bars. Most of the people felt it was a good idea, but was a bit sceptical about people in the island taking the separation process serious. They believe this will be the biggest challenge for the project. Regardless, by the end of the week, I got enough people to try out a pilot, and see if we can make this work in Mykonos. – Implement the idea of adding a special bag for plastic bottles in the hotel trolleys (used by the maids). – They will also train their staff members about the importance of recycling, and are discussing about the possibility of creating a joint training for hotel staff from different hotels on waste management and recycling. 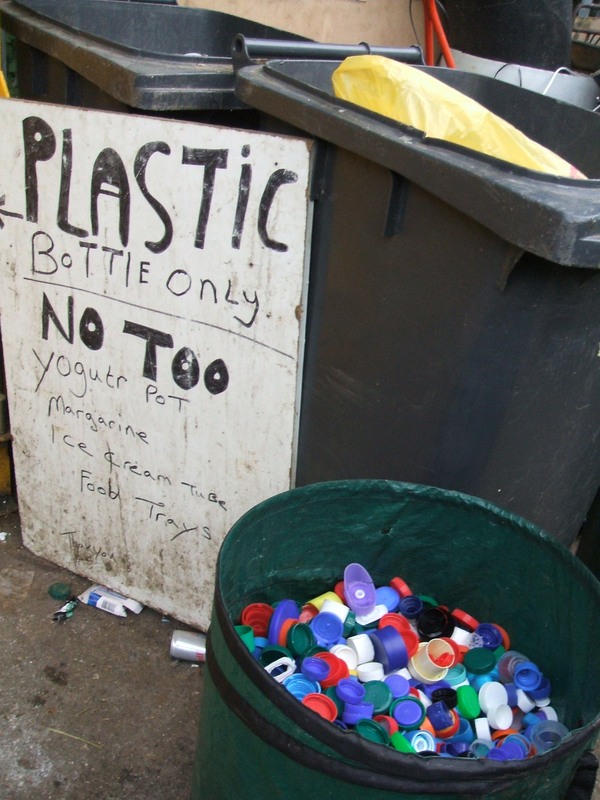 – Prioritize purchase of plastic materials from the recycling cooperative of the project. – Try to develop new products that will use more recyclable materials, and explore the opportunity of creating a series of “eco-friendly” souvenirs as well. – Try to organise workshops and trainings for local artists to build capacity and improve artists’ skills on the management and production of craft from recycled bottles. Since I left Mykonos, I’ve been trying to keep in touch with most of the people I met. So far, Dora has been an incredible reliable ally! She has been visiting hotel owners and craft shop owners to check how they are doing, and motivate them to do more. Considering that the touristic season is over. Lot of shops and hotels are closing down… to re-open only next March! Meanwhile, Dora and her new team of volunteers are trying to organise the workshops for the hotel staff and for the artists, trying to use the opportunity of their “Free time” to create their capacity and prepare their staff for the next season! TASK 3 – Great ideas are born from small causes! After I left the Island of Rhodes, the things I heard from Adonis were still stuck in my mind. Somehow I kept thinking about my waste and the waste management systems that were in place (or not!) 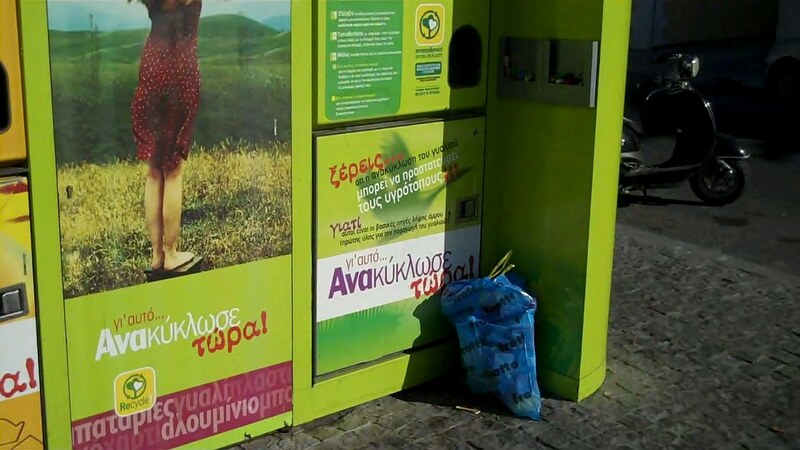 around me… I was quite shocked with the lack of a more serious attention to recycling and waste management in a touristic place like Greece and I felt maybe I could do something about it. I continued my trip and headed to Mykonos, a paradise island (one of the top touristic destinations in Greece!). The place was simply incredible, but I was very surprised with the amount of garbage that could be found in the streets. Specially plastic and glass bottles that could be found in huge quantities close to the bars, in the centre and floating in the amazing waters around the island. It was clear for me that the community there was not really into recycling, and was not really carrying much about the waste produced and left by the tourists (main income generating activity for the island). I remember Adonis in Rhodes, and the things he said about changing people through their pockets! And I decided to convince the local businesses that there was money to be made with recycling! And using the insight from Adonis, I decided to target the local craft shops and the hotel businesses… And it was time to make the magic work! Task 2 – I make the difference! I know this task was supposed to be something simple and practical, but for me, it’s a bit complicated since I’m basically working all over the place, moving from project to project, community to community. 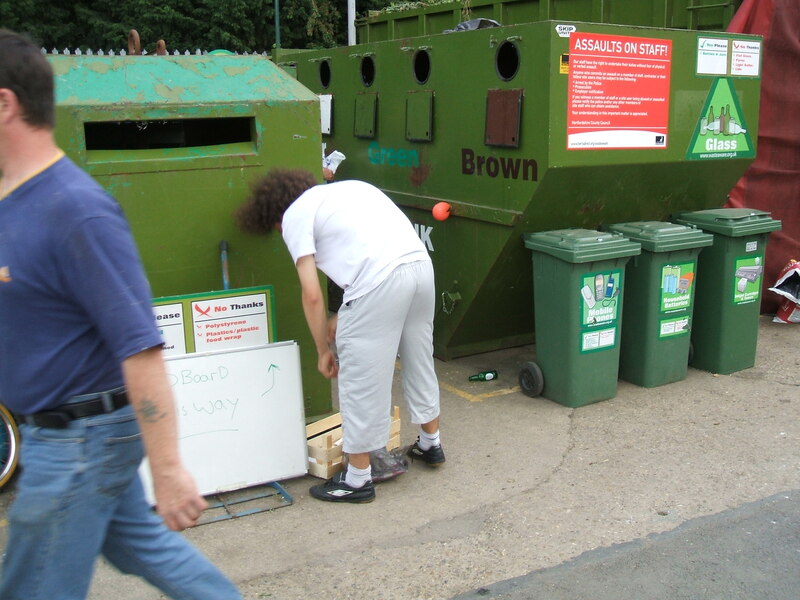 Regardless of this task, since 2005, I’ve been actively separating my waste where I was living in the UK and together with my housemates recycling and composting on a daily basis. In Peace Child, where I spend the last 5 years living and working, the youth staff shares a house where in general 10-15 people live and shares all the responsibility about cleaning and maintain the house. We tried as much as we can to walk the talk, and so, one of the first things you have to learn when you move to Peace Child is recycling. Since we are fortunate enough to recycle almost everything in the UK, we had a very simple system in the house. We placed in the area close to the kitchen, big boxes where we separated Plastic, Paper, Metal and Glass, and inside the kitchen we had a small compost bin for separating the organic waste, like vegetables, fruits, egg shells, tea bags, etc. Daily we simply separated our waste, rinsing the bottles and cans, and drying it before placing them in the boxes. 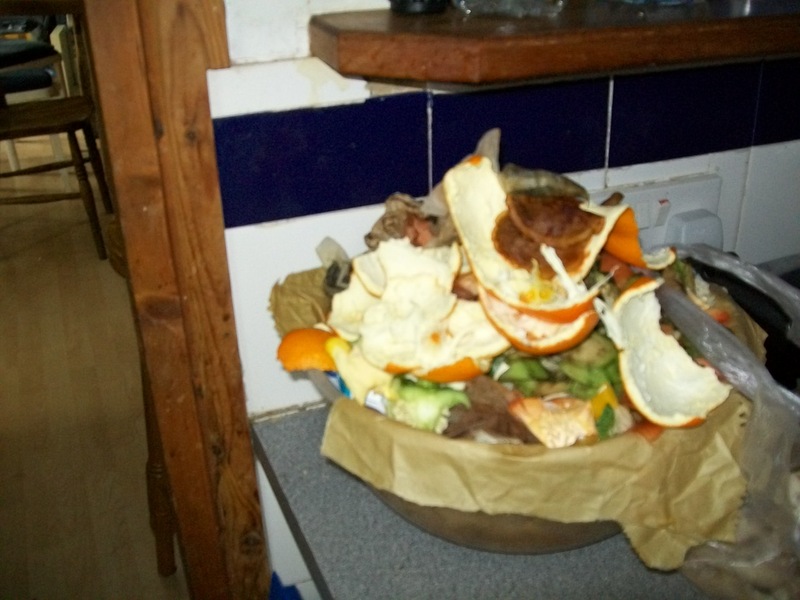 When the compost bin in the kitchen was full, we would take it to our compost bin in the garden – a big gray bin proper for house composting, where we made compost we later used in the garden. When the recycling boxes were full, we loaded then in our van (originally run with vegetable oil) and went to the city’s recycling facility. It was a quite fun exercise. There we have basically different places for every single thing… and you are in charge of doing it yourself. In the beginning I was always surprised the quantity of people in the recycling center (that only opens like 2hrs a week), and always was impress with the will of the people there, that would travel a couple of miles to do their recycling once a week. Always made me thing about Brazil, and the way lots of mine friends would complain about going in the basement of their buildings to take the recycling. Anyway, for the task, I was supposed to specially pay attention to my recycling this week, but since I’ve been in the road for the last month working around Europe (UK, Austria, Norway and Greece) I have been mostly staying in hostels and hotels, and have unfortunately very little control over the management of the waste in the hotels. In order to do this assignment, I decided to have a chat with the staff working in my hotel, trying to learn more about the waste management – how and if they separate the trash from the hotel, what was the procedure, where they dispose it, and I thought I can compare this a bit with the way it has been working in my house. To start with, everybody in the hotel thought I was a bit weird trying to go through the trash of the hotel, and see how they managed it. After a bit of negotiations with the management team (that thought I was from the sanitation inspection institute), they let me enter in the staff reserved areas, and talk to people about it, under the agreement that I would not mentioned the name of the hotel. In the 2 stars hotel where I was staying in the Island of Rhodes, they have 80 flats, with capacity for over 160 guests. Most of the guests are staying there for very short periods (mostly around 2-4 days) and some guests (about 15 people) actually live there in long term contracts (3 months or more). They only have 4 staff members working on the maintenance of the rooms (which includes cleaning and collecting the waste), and only one person that is in charge of the disposal of the waste in the end of each day. The maids (who are in charge of room cleaning) are supposed to do the first separation – they have in their trolleys already a special bag for plastic bottles and for metal cans. All the rest that is “recyclable” goes to one blue bag and everything else goes to another black bag. Once they passed through all the rooms, they bring their trolleys to the back of the hotel basement, where Adonis – a 17 years old Greek student, is in charge of disposing the waste. I spoke with Adonis that day, to learn about how it works in the Hotel, and well, the chat was quite interesting. From the very beginning, he was quite sincere and told me he felt the Hotel didn’t really care much about recycling, he also said he was not really convinced about recycling himself, but he was doing it mostly for the money. He said Rhodes municipality has a collection system for recyclable waste, but that he feels the system is a bit inefficient. Inside the hotel even, most of the times, the Maids don’t bother to separate the waste, and bring the trolley down to him with everything mixed. He, normally busy with several of other tasks, admits that not always take the care of going through each bag to ensure all the things are separated properly. He explained he cares mostly about the plastic bottles, and the hard cardboard paper, because that is something he is able to sell to local craft shops (keeping the money for himself!) 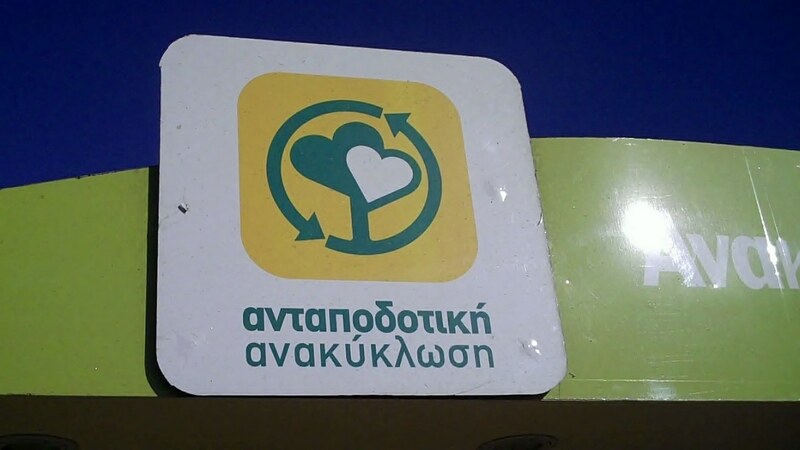 All the rest, he takes to a recycling facility designated for the Hotels in the area, which is located only 500 meters away from the hotel we were (and still Adonis complains is way too far!). We walked together to the facility that day to do the recycling, and although the place looks super nice, it was quite clear the service was not working as well as it could. Lots of plastic bags with recyclable waste were left around the place. And when we opened the bin reserved to composting, there were plastic bottles and bags mixed in the middle of the organic waste. I invited Adonis for a coffee and we talked a bit about it. He thinks that nobody working in the hotel sector in his city were ever explained the reasoning behind recycling and composting. And as it makes no sense to them, they tend to overlook the separation and disposal of waste, unaware of the actual environmental impact they are causing in the Island. 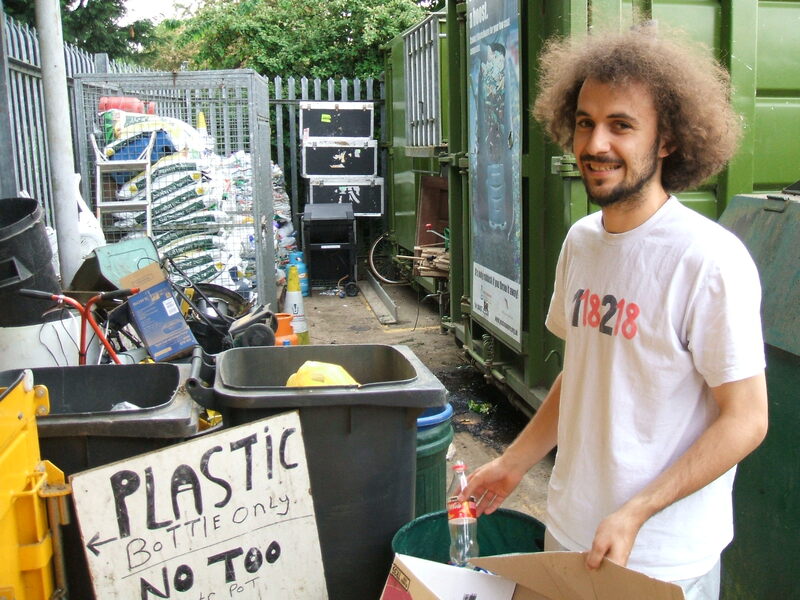 He also said it would probably be different if people would learn how to make profits out of the waste (that was just like his case with the bottles and the cardboard paper!). If trash would represent money, people would be far more careful about the way they manage it. I left the hotel already the next day, but I tried to write in the suggestion box, that the management of the hotel should think more about ways to sell their recyclable waste and make profit out of it. And maybe with part of the money they would make they should compensate the employees that take recycling serious. I left the Island of Rhodes, amazed by its beauty, but also thinking a lot about this “recycling issue”. I wonder if that’s the same situation in other places around the world, and I’m curious to discover the situation back in Santos, my hometown, where we have lots of hotels which are constantly producing waste. Maybe a very interesting project would be to run capacity building and awareness raising programs targeting hotels and their staff. Specially in places with high frequency of tourists, the impact of better waste management systems can be huge.. That’s something that I will be thinking more in the next few weeks, if somebody wants to get in touch, and join forces to collaborate tackling this… it will be awesome! As little as I have, I know that there is always someone out there who has less than I do. Well, in general I think I’ve done quite well in the last few years in terms of avoiding accumulating excesses. For the last 5 years, I was working almost as a volunteer. Earning little money actually makes you very creative and quite aware of the way you use your resources. Since I moved to the UK in 2005, a lot of my clothes are second hand. Mostly I “trade” them with friends – I give them what I don’t use, or don’t fit me anymore, and they do the same with me. Anything that was extra I would simply donate in my local charity shop, where by the way, I normally go for shopping “new clothes” for a very low price. The system of second hand clothes in the UK works really well. Because of my work, I also have access to a lot of very interesting book and specialized publications, that normally would be very expensive and difficult to find. Once I’ve read them, I normally make sure I pass it ahead to another friend who might benefit from it, and they normally pass them ahead once they are done. I only keep the very special ones, or the ones that have special meaning for me… anyway, I became almost like a library for some friends that know they can always borrow them from me, and return them once they are done. Food is something we never waste! And we were super creative in using leftover food again and again. I think these years in the UK was a good cooking school for me, and now I’m able to recycle food very easily! I’m able to make a whole new recipe for dinner, using the leftover from lunch and adding one or two ingredients, or mixing things up. Uhm, I think this is very difficult for me on the road. While writing this, many times I caught myself really thinking about my consumption in the road and how it differs from when I’m home. If I would take the last week as an example, it would be super simple to cut consumption down since I was in a 5* hotel, with all inclusive system. But if I consider my normal routine, I think I’m in general quite good in keeping a low consumption. For the last 5 years I’ve been vegetarian, a decision I took in order to reduce my carbon-footprint. Recently I was working in Turkiye and Zambia, both places which have a strong meat-based diet, so I’ve started eating meat again. It makes things normally easy and even cheaper, and it saves me from forever lasting discussions with people who don’t understand the concept of being a vegetarian by choice. I quite like eating meat, and it’s alright for me… although I tried to keep low meat consumption, I find it very difficult to avoid meat when I’m travelling. When I cook myself, very rarely I use any kinds of meat, I really prefer cooking vegetarian dishes, and I know a lot of good recipes for that. But normally when I’m eating out, I’ve been eating meat in most of my meals. That is something I want to change. I think I need to reduce my meat consumption again, and try at least to keeping a mostly vegetarian diet. When I’m travelling I also tend to over consume coffee, coca-cola, red-bull and things with caffeine. This is mostly because I work long hours and need help in keeping energy levels high and staying awake. But under normal circumstances back home, I normally don’t consume much of those things… so I might try to reduce the amount of caffeine I consume when I’m working abroad as well, even though I know this will be VERY difficult. Finally, one thing that I know I have to reduce is my shower time… easy when we have a bathtub and can use less water. But I normally relax in the shower, and stay for minutes there. I’ve started to pay more attention to the water I’m wasting, and trying to half the time I use in the shower to start with. TASK 1 – Who am I right now!? For those who don’t know me, my name is Joao Felipe Scarpelini, I’m 24 years old. I was born in Brazil, into an Italian family… (Although I took about 20 years to really accept my Italian identity and understand it does not exclude my “Brazilianity”!). I was born in a little town called Botucatu, but I was raised mostly in Santos (coast of Sao Paulo), lived in Sao Paulo city but few years ago (6 years to be precise!) 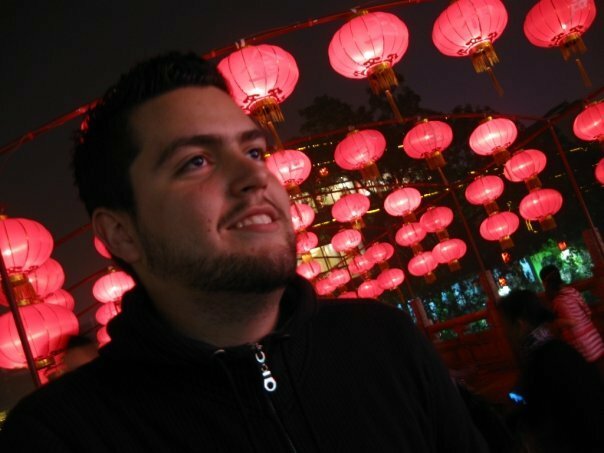 I started a crazy journey that took me to experience over 40 countries… from Argentina to China, from Canada to East Timor, from Norway to Zambia working in different community projects in the most different contexts and realities! Although all these things re-shaped me A LOT they did not make me lose my roots, my values and my believes… Quite the contrary, it strengthened them. It made me grow, expand, broaden my limits, or simply forget about creating limits to myself! I know myself much more now! I consider myself a world citizen, and because of that I feel responsible for taking care of the health, and state of my homeland earth. I feel there are a lot of things that are wrong, that there is a lot that still needs to be done… and yet many people don’t realize that, and I feel anxious to know we are wasting precious time. I personally struggle to simply sit and wait for change to come! So I’ve been spending all the minutes of my day trying to make a difference in little things, in my daily life, inspiring and motivating others to do the same as well. It really irritates me to see global leaders justifying “inaction” with lack of resources, or knowledge. When we know that the solutions are out there and if we really want, as a global community, we can pull together the resources, the skills, the knowledge and the creativity we need.. We just lack the will. So I’m anxious to see more individual warriors taking the action, and leading by example, showing that the world is full of abundance, and that we can make it work for all, if we are serious about it. I feel anxious to see and live in this better world we are working hard to create! Do you have professional questions? What are they? I think I have been quite lucky and I had the opportunity to work in incredible projects, with passionate inspiring people, helping communities to transform themselves. It’s being great! And I’m super grateful for that!!!! But I feel I need to find balance still. Right now, I have no base, moving from community into community, from challenge to challenge… caring my house in my shoulders and I think I need to balance that. I would like to discover the secret of having a normal settled life, and yet, still be able to work on those incredible projects that are big part of what makes me happy and complete. I dream of having a good life, of being able to share a bit of my passion and the things I’ve learned and experience with others… I think my big blue sky dream is that one day, we “human beings” will all understand that we can all live together, and have enough to eat, to drink, to enjoy… and that societies will be restructured in order to embrace simple values like cooperation and collaboration! And that communities in general will learn to live “partnerships” as a core value of their daily lives. Uhm, now I think my challenges are mostly related to time/money. I have to juggle a lot between contracts and projects in order to make enough to survive and pay my bills and my studies… But yeah, somehow the challenge becomes a motivation for me, so I’m managing it quite well so far. Why do you want to take part in the Warriors without Weapons 2011? I’ve been following the Warriors Without Weapons program for a while, I’ve already took part in the “hands on” part of the training, and worked with some of the Warriors in other projects. But still somehow I feel I need to give myself the opportunity of living the full experience. I’m really looking forward for the opportunity of taking part in the program, and to learn…learn…learn as much as I can… to absorb and share as much as I can with Elos, and all the other warriors… I want to rethink my approach to community work, and to incorporate the values and ethos of the warriors in my daily work. I think this is a very unique opportunity for me, to become a better warrior myself, improving my skills and in general, to become part of this powerful and passionate community of warriors spread around the world. Have you ever done something which demonstrates that you are a “Warrior Without Weapons”? Tell us! I think that for already quite few years I became a Warrior without weapons. I was involved in volunteering since the age of 7, but in fact it was only after visiting a slum area in Santos city for the first time at the age of 13 that my life has completely changed. That visit appealed to me so much that I felt I needed to do something, I needed to change that, but at the time I was told I would have to wait until I was old enough to be able to help somehow. I was told that with my age and no higher education I couldn’t do much for these people. I decided not to wait any longer and I started with some friends an organisation dedicated to share stories of young leaders, who were already transforming their communities, trying to inspire others to make a difference. I also started with something really small, basically sharing the few skills and knowledge I had at that time. I started teaching English, IT and basic life skills for young people of my age. It didn’t take me too long to fall in love with the work and to start dedicating a huge amount of my time to the community. It was never really planned but I started working in different slum areas, schools and youth groups in the city of Santos and Sao Paulo working on different issues such as sexuality, HIV/Aids, nutrition, basic health care, IT, professional skills, media, etc. My main goal was to engage young people like me and support them to develop small actions to improve their own lives. It was also at this time that I realised there was a real need for more platforms that would allow young people to take part in decision making. The problems of the city were affecting also the young people; therefore it was only clear to me that young people needed to be part of the solution too. After lots of work in lobbying the local government and different stakeholders in the community I helped founding the Municipal Youth Commission in the city of Santos – a platform that allows young people to advice on the youth polices and strategies of the city. Realising the impact and the power of those platforms, I decided to work even harder to create more of those spaces and opportunities in as many places as possible. Since that I have never really stopped and I have been working as an activist on different campaigns, causes and in various organizations. I’ve been in the forefront process of recognizing youth participation within the UN System since 2004. From July 2002 until August 2010 I’ve worked for Peace Child International (www.peacechild.org) first in Brazil – later (August 2005) at its headquarters in England, where for 5 years I worked as the Institutional Development Manager and Special Projects Coordinator. Since 2008 I sit in two Advisory Committees for the UN-HABITAT – United Nations Human Settlements Programme, advising the agency on its youth mainstreaming strategy and on the management of the UN-HABITAT Urban Youth Fund, a fund financing and championing youth-led development worldwide. Currently I’m consulting for UNICEF Zambia, working in a program called Unite 4 Climate Zambia which trains young people (13 to 17 years old) to design, implement and manage climate related projects in their communities. I’m member of YouAct – European Youth Network on Sexual and Reproductive Rights. And work as a correspondent on youth issues for different media outlets and publications including the World Bank’s Youthink initiative. What are your plans? What do you want to do when you return from the program? I’m currently doing a PhD in Participatory Community Planning for Disaster Risk Reduction at Middlesex University, and consulting for a climate program led by UNICEF Zambia. I believe the Warriors Without Weapons program is an opportunity for me to learn more in depth the Warriors approach, and its methodology which will enable me to apply it in all my future interventions. I believe my main commitment will be to incorporate the values, the ethos and the learning from the Warriors into my daily work and life. And to contribute as much as I can to this amazing network of warriors… keeping the network alive and active! Support me by donating any amount which will be used to cover the costs of the Warriors Without Weapons 2011!